Charleston SC September 30, 2014 The Second Annual Colour of Music Festival (COMF) October 22-26, 2014 showcases the breadth and influence of blacks on the classical music world past and present. The five-day festival features top black musicians, vocalists, and orchestra leaders from across the globe performing piano, organ, voice recitals, and chamber works performed in historic venues across the City of Charleston, South Carolina. A major highlight the Festival is guest appearances by 15-year old cello prodigy and national competition award-winner Sterling Elliott, a member of the family known as the Elliott Quartet of Virginia. He will perform with his quartet, in association with the Color of Music Virtuosi pre-Festival event, and as part of the Festival’s Masterworks program as a soloist. featuring works by black composers Le Chevalier de Saint-Georges and Dominique Legendre and French composers Claude Debussy and Maurice Ravel. Finally Sterling Elliott will perform Victor Herbert’s Cello Concerto No 2 in E Minor Op. 20 under the direction of COMF Music Director Marlon Daniel and the Colour of Music Festival Orchestra as part of Charlestonia: A Folk Rhapsody Masterworks Program Saturday, October 25 at 8:00pm, Memminger Auditorium in downtown Charleston. 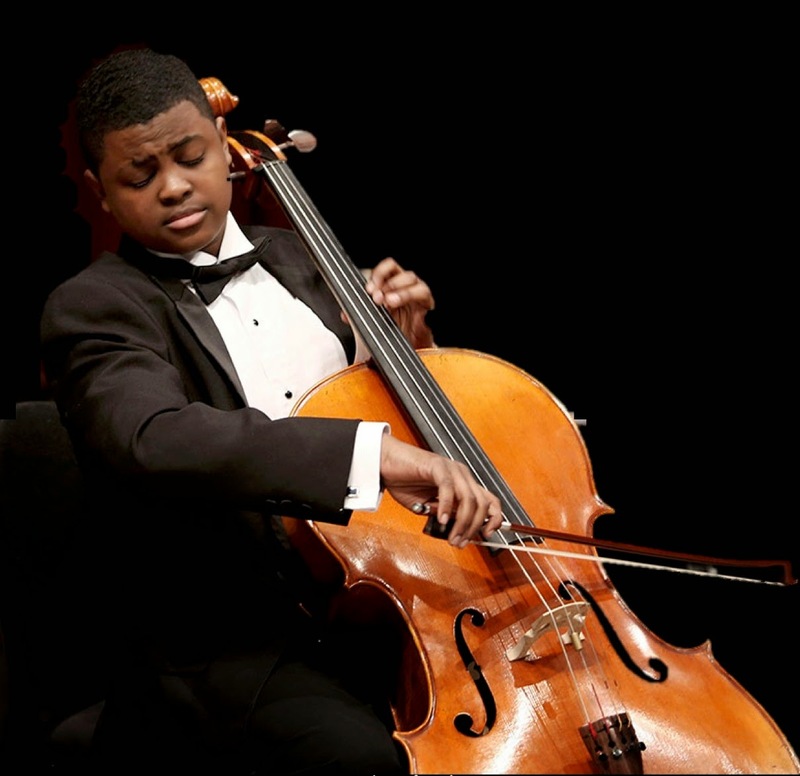 The First Prize Winner of the 2014 National Sphinx Competition, fifteen-year old Sterling Elliott began his cello studies at the age of three. The youngest of three siblings, he did not originally want to play the cello; he wanted to play the violin like his older brother and sister. He was accepted into the Peninsula Youth Orchestra when at age 6 and at age 10 he became the Orchestra’s principal cellist. He also serves as principal cellist for the District Honors Orchestra. Sterling is the Grand Prize winner of the First Presbyterian Young Artist Competition, winner of the 2013 York River Symphony Orchestra Concerto Competition and received a full scholarship to the Eastern Music Festival where he was a winner of their 2012 Concerto Competition. In August 2013, he appeared on NPR’s From the Top where he was announced as a recipient of the Jack Kent Cooke Award. Recently he has performed alongside pop superstar Jennifer Hudson. Sterling plays a Tupper cello generously loaned to him by Carlsen Cello Foundation. The full Colour of Music Festival schedule can be accessed from the COMF Brochure. Full schedule and tickets online: www.colourofmusic.org or by calling (866) 811-4111. Series packages with discounts up to 30% off are available. For all-inclusive packages for college professors and administrators and/or for groups of ten (10) or more use code: GR. $7.00 for schools/church youth groups. Tickets available at the door (credit card, cash or check) one hour before each performance.